Market stall holders selling their wares. It’s hard to be discreet with a huge fluffy microphone, and even though I managed to remain out of sight under the noses of the market traders, most of the passersby saw me trying to act all normal as if I wasn’t recording anything. You might even be able to make out a comment from one passing chap. I’ll add his statement to a long list that I have received whilst working in the field. Anyhow, you can mostly hear what I was meant to be recording, market banter. 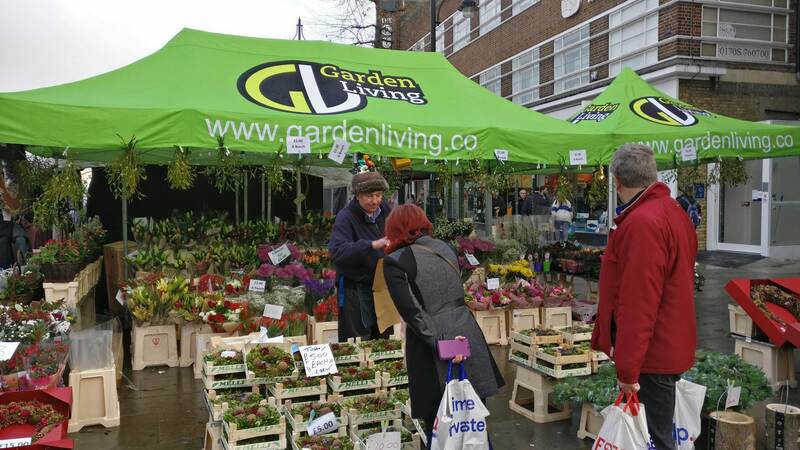 To the right of the stereo field you can hear John Newman and Tina Cook selling their fruit and vegetables and to the left you can hear Martin Whiting selling his hosiery and thermal clothing. Since Romford isn’t in Essex and hasn’t been since 1965, I’m perplexed as to why Romford Market has been included as an ‘Essex Sound’. Surely Romford Market is a London Sound and has been for over half a century now. Thank you for your message! We have chosen to define Essex very broadly. In talking to people about Essex sounds, many people who live or had lived in Romford still felt themselves to be part of Essex. So while Romford is part of the administrative district of Havering Borough Council, we included it as part of historic Essex, with a geographic boundary formed by the River Lea. (Incidentally, the Essex Sound and Video Archive similarly collects sound and video recordings from historic Essex, so it matches our collections policy.) You will see we have been lax in other directions too, occasionally straying into Suffolk and Cambridgeshire. Sound waves know no administrative boundaries. Thanks for the tip-off! I’ve looked up details about the programme; I’ll have to keep an eye out in case they broadcast it again. I remember a Radio 4 documentary about Romford Market in the ’80’s which was all about the sounds and people there and how it’s changed. It’s not on their radio player but it’s “White Stiletto Dreams” by Cathy Fitzgerald and she has the playwright David Eldridge along with her, he worked there and has written about both Basildon and Romford.